Russian Marxist revolutionary (1875-1933). Portrait signed. No place. 109:156 mm. 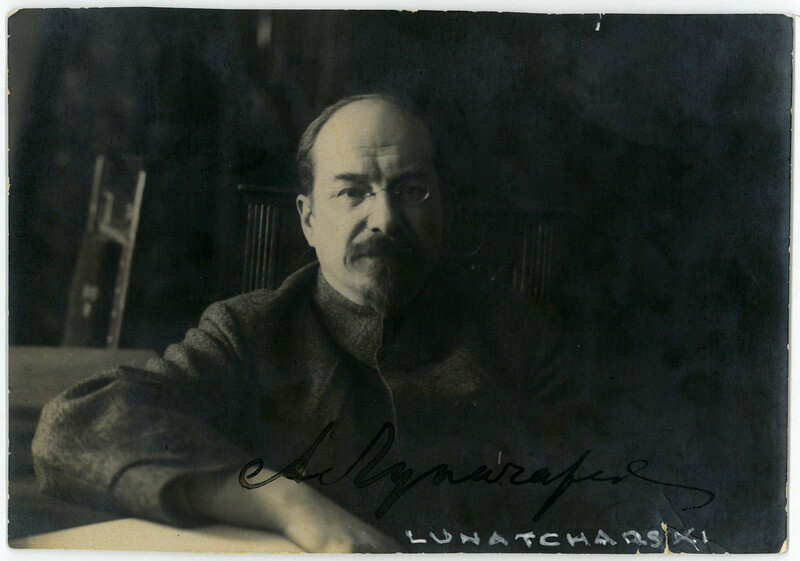 Lunacharsky is regarded as on of the most important Marxist culture politicians, and served as the first Soviet People's Commissar of Education responsible for culture and education from 1917 to 1929. In 1930 Lunacharsky represented the Soviet Union at the League of Nations and in 1933 he was appointed ambassador to Spain. 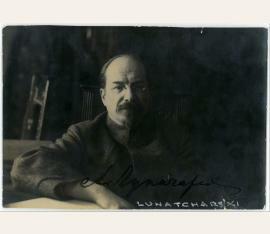 Lunacharsky died in Menton, France, en route to take up his post as the Soviet ambassador to Spain. - Small damage to edges and somewhat blue-shadowed. Russian Marxist revolutionary (1875-1933). 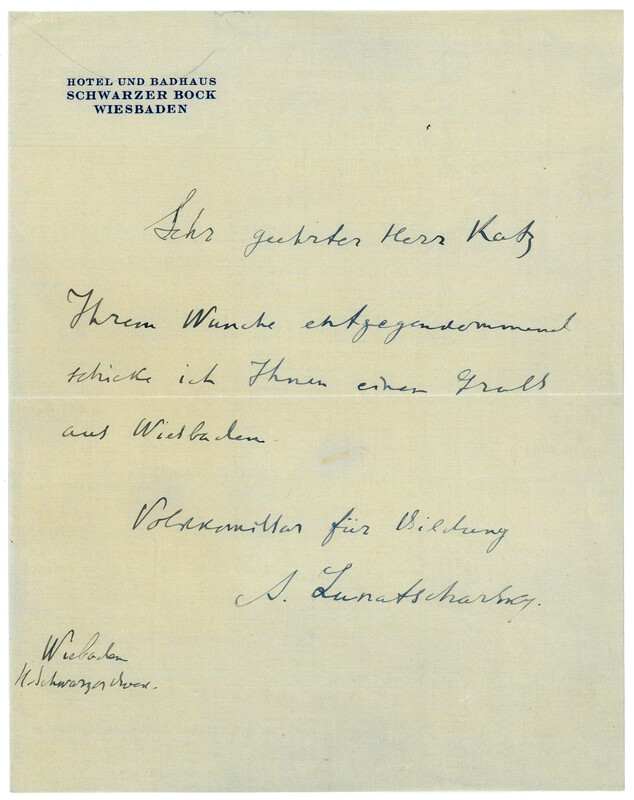 Autograph letter signed ("A. Lunatscharsky"). Wiesbaden. Small 4to. 1 page. With autogr. envelope. Sending greetings to an autograph collector. 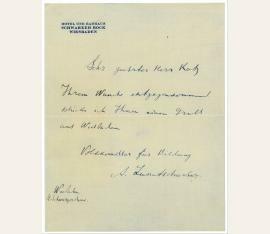 - On headed paper "Hotel und Badhaus / Schwarzer Bock / Wiesbaden".